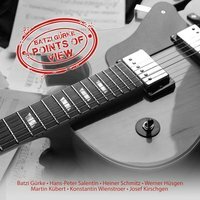 Batzi Gürke`s „Points Of View“ CD Contemporary Jazz, enriched with Latin and Blues, is subject of the 10 songs of this CD. Batzi Gürke ( Guitar & Compositions )The story of this CD started about more than 30 years ago. students when the band split up after 2 years. In 2015 there was one thought maturing in Batzi`s head: recording a CD with new compositions and with the members of the old band!Since the first rehearsal it was obvious that the band functioned right from the start! are lead to exceptional interpretations by the extraordinary gifted participating musicians. Contemporary Jazz, enriched with Latin and Blues, is the main emphasis of this CD arrangement.